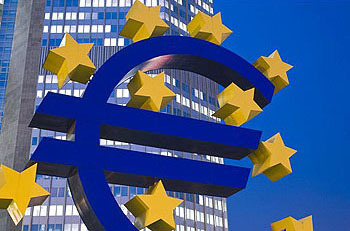 facto engineering a taxpayer-financed bailout of Europe’s banks. ….The whole thing is incredibly slimey and I have to suspect that it will end poorly, but for the time being at least it’s working. Because I’m a simpleminded person and don’t understand the intricacies of high finance, I too think this will end poorly. And it will end poorly for a very simpleminded reason: no matter how cheap the ECB’s loans are, there are only just so many Italian bonds that European banks want to buy. At some point — and this point is probably not all that far away — Europe’s banks will realize that nothing structural has changed, Italy is still in trouble, they have an awful lot of Italian bonds on their books, and 5.6% isn’t a high enough yield to buy more of them no matter how cheaply they’re getting their money. And then they’ll stop, and yields will go right back up. There is, besides this, something else that puzzles me. The reason this plan is supposed to work is because the ECB is providing European banks with cheap money. But money is already cheap. American banks, for example, can raise money for next to nothing. So why aren’t American banks loading up on Italian bonds? Is it just because of the added exchange rate risk, which eurozone banks don’t have to worry about? That doesn’t seem really plausible. So what’s going on? Either Italian bonds are worth buying at 5.6% or they’re not, and this shouldn’t fundamentally depend on whether you’re a European bank, an American bank, or a Saudi Arabian bank. This whole thing is very mysterious. I will continue to watch with skepticism that it will work, and a sense of wonder if it does.